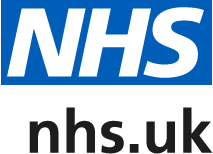 If you would like to make a formal complaint about any aspect of your experience here at Hungerford Medical Centre, please do so in writing to the Practice Manager at Hungerford Medical Centre, School Crescent, Crewe, Cheshire, CW1 5HA, or via e-mail to hungerford.enquiries@nhs.net. Alternatively you can fill out a Complaint Form which are available in the waiting area and hand it in to reception. Please try to include all the relevant information and the names of the individuals concerned as it makes our investigations more thorough. We will send an acknowledgement of your complaint within 7 days of receiving it. We will endeavour to give you a formal response when we acknowledge your complaint, however this is not always possible so we will give you an estimated timescale for our formal response with the acknowledgement; in the meantime we will keep you up-dated during the process. If, having received our formal response, you do not feel your complaint has been appropriately dealt with, you can contact the Practice Manager, explain why you are not satisfied and ask for a review of our findings. The Practice Manager will look at the circumstances again and if it is felt that further investigation is warranted, we will instigate this. If it is not felt that further investigation is warranted, the Practice Manager will inform you. If you would like a full copy of our Complaints Policy, this is available at reception.